Social Work Services Insurance Oregon Social work service providers deal with complex issues and even more demanding clients. Like most professionals that work with the public, they are susceptible to mistakes, and when these slips happen, lawsuits follow. As a social work provider, these lawsuits will target you and not just your employees. This is why you must invest in social work services insurance Oregon that will protect your organization against these claims. No matter how small your risk exposure, getting coverage is a good idea if you want to be careful. 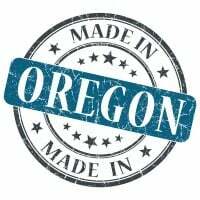 Social work services insurance Oregon protects your organization from lawsuits with rates as low as $27/mo. Get a fast quote and your certificate of insurance now. Risk of Subpoena: OR social workers should always be ready for subpoenas because they work with people going through difficult times. Sometimes they may be called upon to answer questions when things go wrong. Social work services insurance Oregon will cover you through the proceedings. License protection: If a client or any other person complains about your conduct to the OR state licensing board, you may need to defend your license and practice. This process can cost you thousands of dollars in legal fees. But with a valid social work services insurance Oregon coverage, you will be reimbursed for all expenses if your policy covers the incident. Contractual Liability: It is common practice for social work service providers to be offered a contract by a third party. These types of contracts will require you to assume responsibility for a third parties liabilities. Your social work services insurance Oregon policy should also cover this transfer of liability. Social work is a fulfilling career that requires personal commitment. However, helping others can expose you to unexpected risks. As a OR social work service provider or worker, you need professional liability coverage to mitigate these risks. Request a free Social Work Services Insurance Oregon quote in Albany, Ashland, Astoria, Aumsville, Baker, Bandon, Beaverton, Bend, Boardman, Brookings, Burns, Canby, Carlton, Central Point, Coos Bay, Coquille, Cornelius, Corvallis, Cottage Grove, Creswell, Dallas, Damascus, Dayton, Dundee, Eagle Point, Estacada, Eugene, Fairview, Florence, Forest Grove, Gervais, Gladstone, Gold Beach, Grants Pass, Gresham, Happy Valley, Harrisburg, Hermiston, Hillsboro, Hood River, Hubbard, Independence, Jacksonville, Jefferson, Junction, Keizer, King, Klamath Falls, La Grande, Lafayette, Lake Oswego, Lakeview town, Lebanon, Lincoln, Madras, McMinnville, Medford, Milton-Freewater, Milwaukie, Molalla, Monmouth, Mount Angel, Myrtle Creek, Myrtle Point, Newberg, Newport, North Bend, Nyssa, Oakridge, Ontario, Oregon, Pendleton, Philomath, Phoenix, Portland, Prineville, Redmond, Reedsport, Rogue River, Roseburg, Salem, Sandy, Scappoose, Seaside, Shady Cove, Sheridan, Sherwood, Silverton, Sisters, Springfield, St. Helens, Stanfield, Stayton, Sublimity, Sutherlin, Sweet Home, Talent, The Dalles, Tigard, Tillamook, Toledo, Troutdale, Tualatin, Umatilla, Union, Veneta, Vernonia, Waldport, Warrenton, West Linn, Willamina, Wilsonville, Winston, Wood Village, Woodburn and all other cities in OR - The Beaver State.